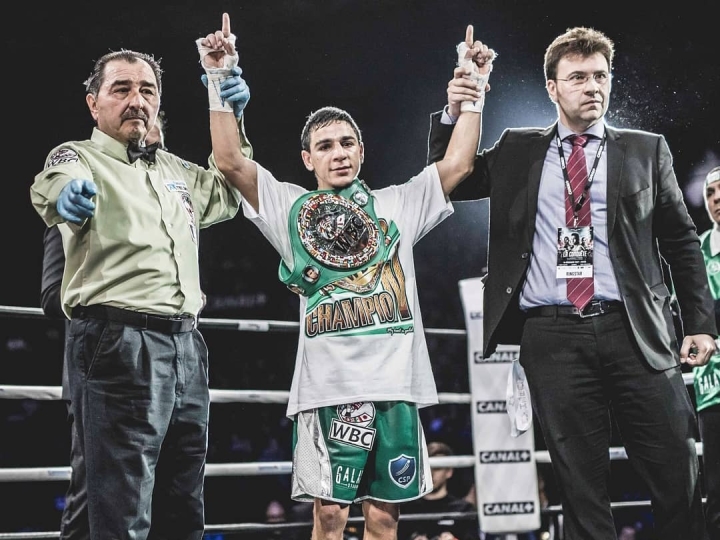 Nordine Oubaali is bristling with intent as he prepares to clash with old foe Rau’shee Warren for the WBC world bantamweight title on January 19. The unbeaten Frenchman (14-0-KO11) conquered America’s Warren at the 2012 Olympics and is confident of repeating the trick in the professional ranks under the bright lights of Las Vegas’ MGM Grand. Oubaali, who is receiving advice from the legendary Roy Jones Jr in camp, told Showtime: “The day has finally come when I will be taking the world championship home with me to France. “The opponents and dates have been changed quite a few times but I’m the WBC’s No. 1-ranked fighter and I’ve been waiting for my opportunity. I’m here to beat anyone put in front of me – it doesn’t matter what their names are. “Warren is a good fighter and I will adjust to what he brings that day. He will discover my strategy inside the ring too. I will beat him. Oubaali’s trainer and brother Ali Oubaali added: “Warren is a good fighter but not one of the best. Nordine is better than him and he will prove it in the ring on the night. Mayweather To ‘Cheating’ Canelo: I Make $300M in 1 Fight, Not 11!